We’d love your help. Let us know what’s wrong with this preview of Warrior Path of Togakure by Stephen K. Hayes. 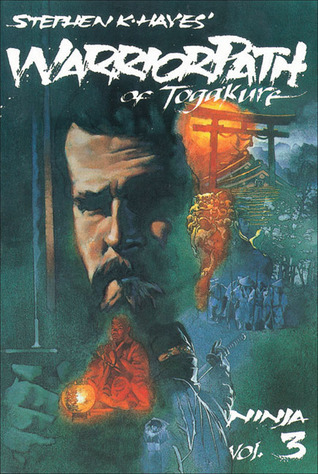 The author relates the history and significance of the birthplace of Daisuke Nishina, the founder of the Togakure Ryu of ninjutsu, and introduces advanced principles such as enlightened consciousness, secrets of ninja invisibility, the union of body and weapon, and how to direct the power of one’s surroundings. To ask other readers questions about Warrior Path of Togakure, please sign up. Promoting the benefits of Life Mastery Through Martial Arts, he travels the world as teacher, seminar leader, and lecturer, inspiring others by tra Stephen K. Hayes has spent his entire adult life in the pursuit of perfection through the study of the Asian martial arts and spiritual traditions, living and traveling throughout North America, Japan, Europe, the Arctic, China, Tibet, Nepal, and India. His 19 books have sold over 1 million copies – many volumes published in different languages around the world, translating the timeless knowledge of the East into pragmatic lessons for contemporary Western life. Stephen K. Hayes was awarded the extremely rare honor of Ninja Taijutsu Ju-dan 10th degree Black Belt in 1993. He went on to found the martial art of To-Shin Do in 1997; he and his wife Rumiko are both known as An-shu, founder-directors of the Kasumi-An. Stephen K. Hayes has demonstrated self-protection combat skills to military and law-enforcement groups including the U.S. Air Force Academy, the FBI Academy, the American Society for Law Enforcement Training, and members of Britain’s elite SAS. He has worked on special assignments with the United States Department of State Dignitary Security Services, and under contract with the United States Defense Intelligence Agency. Stephen K. Hayes taught as Adjunct Professor in the Masters of Business Management program of the McGregor School of Antioch University, and serves on the University of Dayton Crotty Center for Entrepreneurial Leadership Advisory Council, and the Union Institute & University Center for Clinical Mindfulness and Meditation.